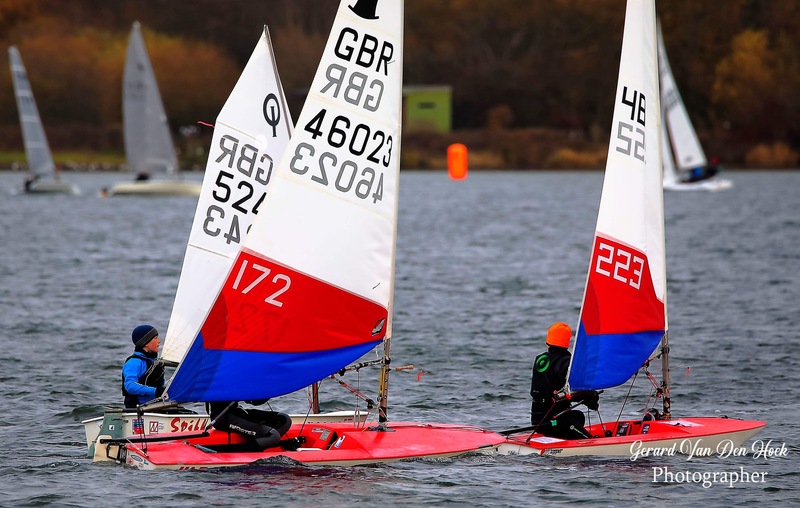 The 3rd week of the Revett winter series at Leigh & Lowton Sailing Club produced the best sailing conditions yet. An 8-12 knot NE breeze enabled OOD Graeme Bristow and his team to lay out 2 superb separate courses across the Flash from one start boat. This kept the Asymmetrics happy with their windward-leeward format and the other fleets had clear wind and mark roundings. 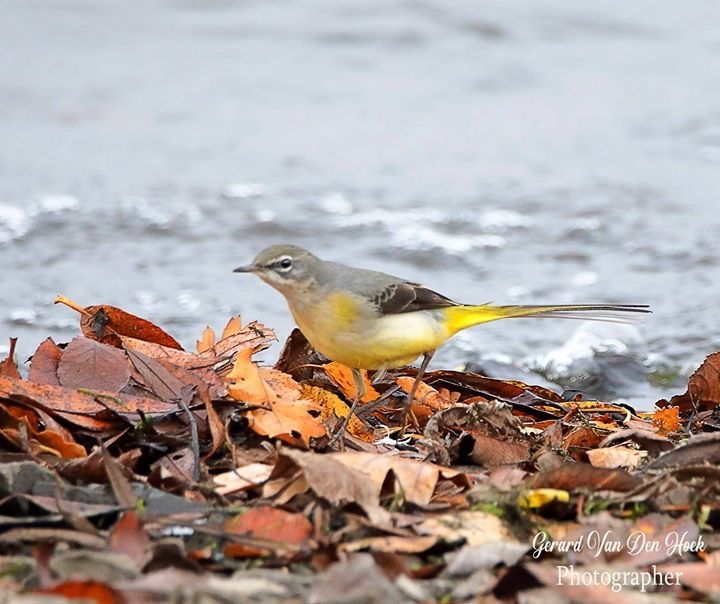 Onlookers had plenty of action to follow, and were “tweeting” on the live feed….. 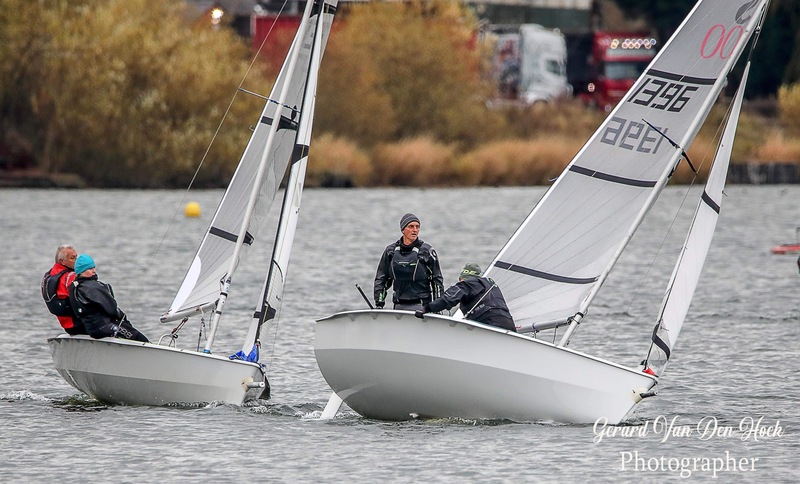 The Laser fleet was lower in numbers this weekend with youths away for a squad weekend and masters at their Inlands event; but the racing was still good and competition tight. Ollie Blackburn (LLSC) took full advantage leading Charlotte Greenhalgh (LLSC) round to claim two bullets. Mike Baldwin (LLSC) also stepped up to have a great day with 2 thirds. 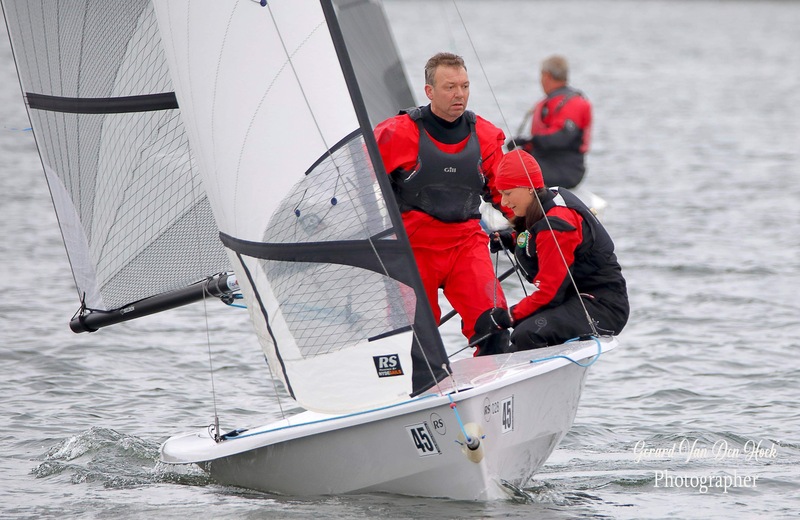 Another Flying Fifteen joined the handicap fleet this week and Andy McKee & Richard Jones (Llandudno) didn’t hang about as they claimed the first race in some style. 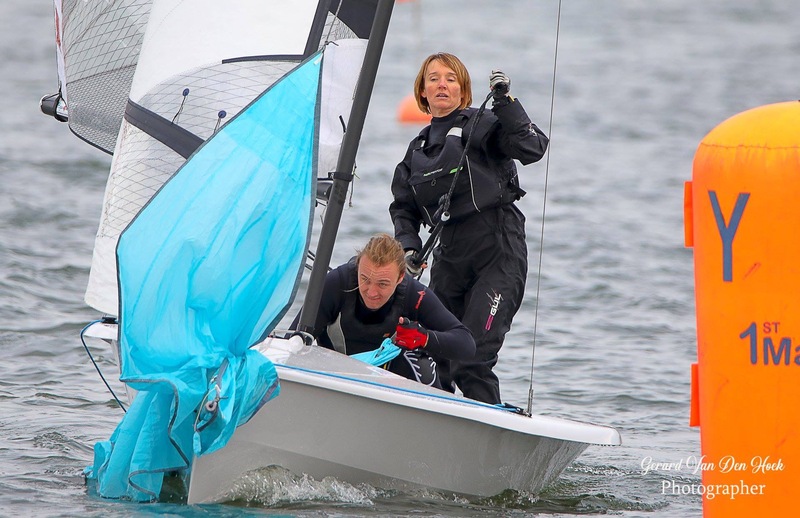 Julia West & Joe Hartigan (LLSC) in their GP14 continued their progress up the fleet in the series, despite some gear failure, to finish with two 2nds for their efforts. Royston Taggart must have had something special in his lunch as he kicked his helm Steve Blackburn (West Lancs/Pilkingtons) up a gear in the second race, winning by over a minute. Martin Knott (LLSC) and Andy/Richard picked up the other podium positions for the day. Steve/Royston continue to lead the series, and it will take something special to unseat them now. The Asymmetric Fleet results for the weekend look very tame, but the racing was far from straightforward in reality. 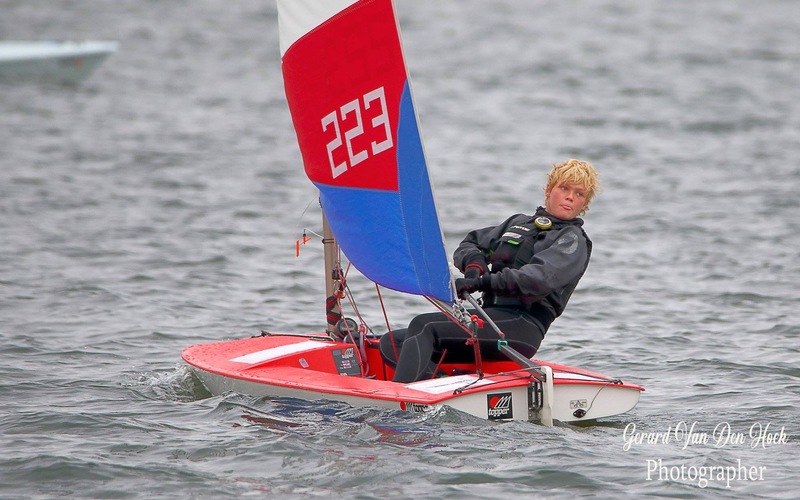 The key to the day’s racing was to get away from the 1st windward mark cleanly in breeze. 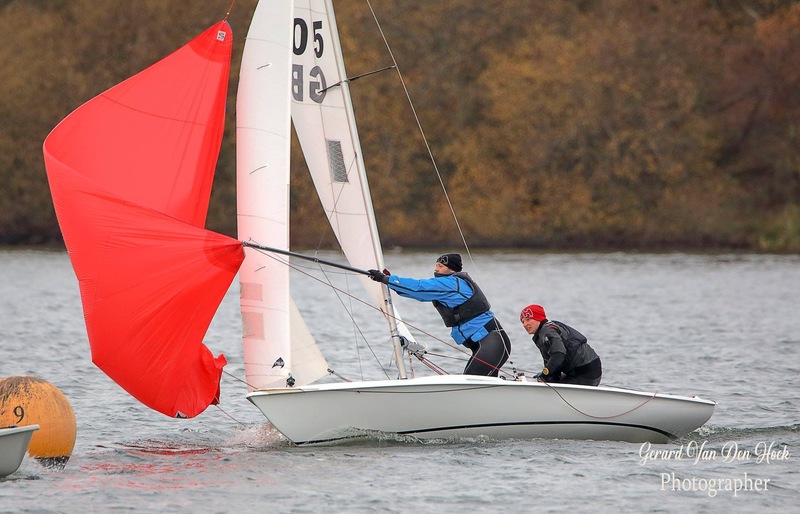 Dave Exley & Nigel Hall (LLSC) made this look easy having not rounded first in either race, with Richard Catchpole & Gary Coop (LLSC) trailing in their wake. 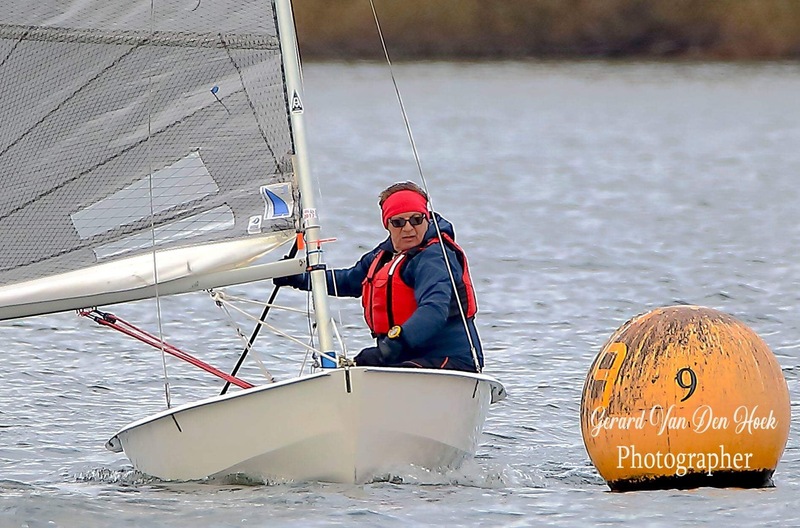 Caroline Exley & Andy Dawson (LLSC) had a good day, threatening to run away with the second race at one point, while Mark Dingsdale & Ness Evans (LLSC) were in close contention throughout the day. Next weekend will be a series showdown! 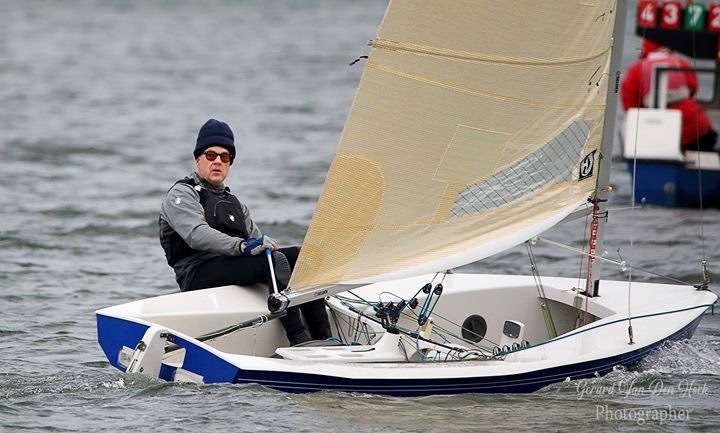 Brian Sprague (LLSC) finally came undone in the last race of the day when Andy Fox (LLSC) and Kim Cant (LLSC) passed him on the final downwind in the 2nd race to relegate him to 3rd place. Before then, Brian had claimed the 1st race in his usual style, beating Malcolm Waddington (LLSC) and Andy Fox. Only Andy can now beat Brian in the series by claiming a clean sweep in the last 4 races, a tough ask! 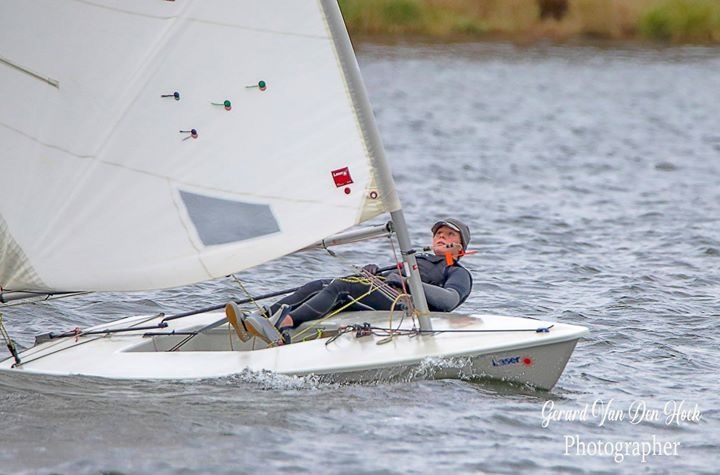 Ben Welfare (LLSC) was clearly intent on putting his squad training into practice, claiming both bullets this weekend on his return in his Optimist. 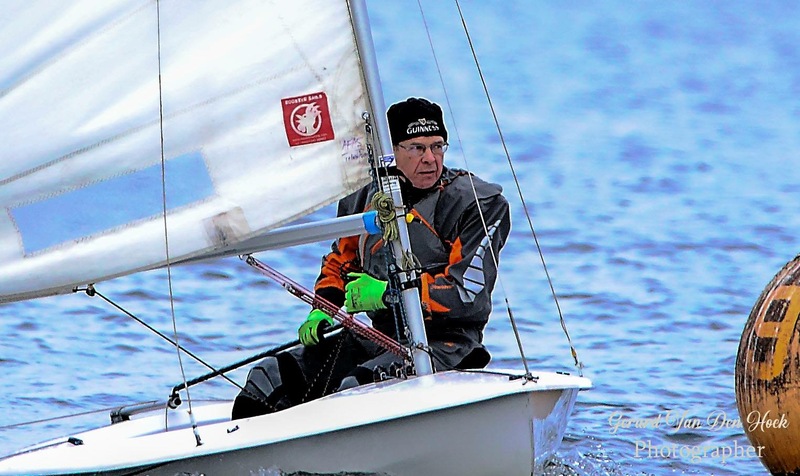 He was followed by Thomas Link (LLSC) and John Bridgeman (LLSC) in the first race, while John and Noe Peckham (LLSC) took the other placings. 5 juniors are still in the running for winning the series as we head into the penultimate weekend.